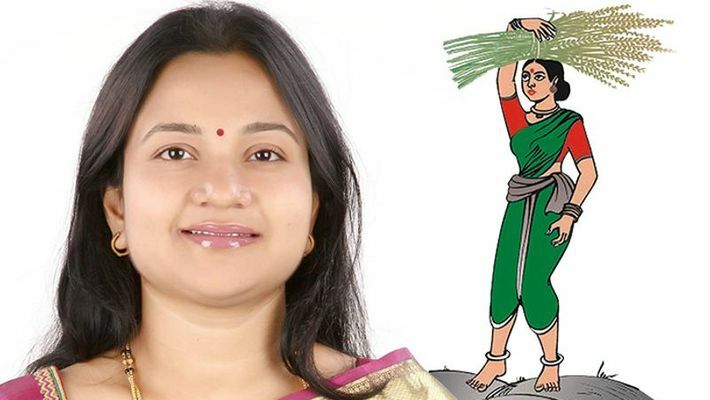 It looks like the JD(S) will snub former IRS officer Dr Lakshmi Ashwini Gowda once again now that the party is planning to launch HD Kumaraswamy's heir Nikhil Kumaraswamy in Karnataka for Lok Sabha. News of this has made the ticket aspirant Gowda regret quitting her job. Bengaluru: First the Nagamangala Assembly ticket and then the Mandya MP ticket in a by-election and now a possible seat surrendering to Nikhil Kumaraswamy, son of Karnataka chief minister HD Kumaraswamy has left Lakshmi Ashwini Gowda, the ticket aspirant in a state of shock. Speaking to MyNation, Gowda said, she thought many times before quitting her job and consulted both the JD(S) chief HD Deve Gowda and Kumaraswamy. It was only after she received some assurance, she quit her IRS service and joined the JD(S). "I regret my decision now, I had 33 years of service left as an IRS officer. I joined the JD(S) only after assurance by Deve Gowda and Kumaraswamy. I was hoping to obtain the ticket from Nagamangala for the Assembly election, that didn’t happen. And then in the by-election in Mandya in November, I hoped the party would field me, but they did not and now the party is openly backing Nikhil Kumaraswamy for a MP seat. Now, I cannot go against my party," said Ashwini Gowda. The party chose Suresh Gowda over Ashwini Gowda for the Nagamangala MLA seat in May and in Mandya by-election, the party chose realtor LR Shivarame Gowda. The BJP that expects JD(S) to break promises, lashed out at the party calling it a 'ruthless family party'. "The IRS officer Lakshmi Ashwini Gowda is responsible for her situation. She ruined her career. She has not grown as a politician and it is too late for her now," said BJP spokesperson S Prakash. The Congress, which is likely to continue with the JD(S) after sealing seat sharing deals for the coming days, said the decision to field the party candidate from the JD(S) is left to them. "It is their party matter and we will not comment. It has not been decided which candidate will be selected yet though," said Kengal Shreepada Renu, Congress spokesperson.